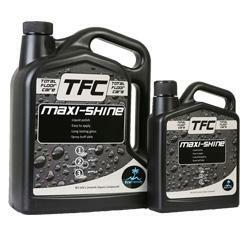 Maxi Shine is a long lasting, self-shining, slip resistant polymer polish. Maxi Shine is frequently used by contractors for a durable high gloss finish. Maxi Shine is used whenever a gloss finish is required or where added surface protection is needed (over acrylic sealers etc. ).